These achievements were on the back of Microsoft announcing the streamlined certifications aligning to industry-recognised areas of competence, Centres of Excellence, used by the Microsoft Partner Network to identify technical competencies that are widely recognisable by both Microsoft partners and customers. Though you have to admire the way communication automation works here as I held SharePoint and Data Platform certification up to last week and sudden receipt of email confirming new certifications. Little explanation would have been nice as to why this was! –nonetheless i am happy and support the alignment of certifications. 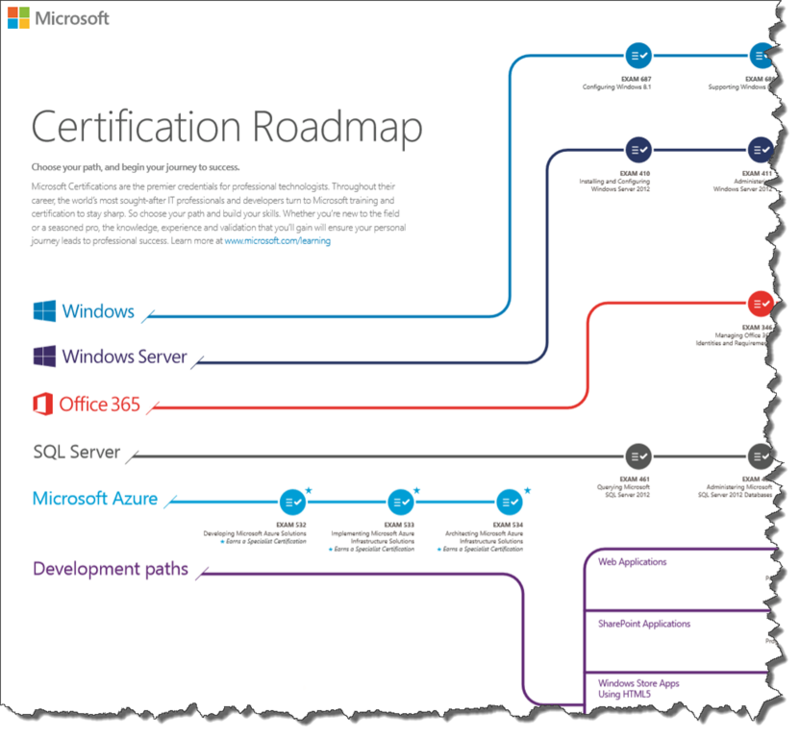 For further details, you can download the Microsoft technical certification roadmap.